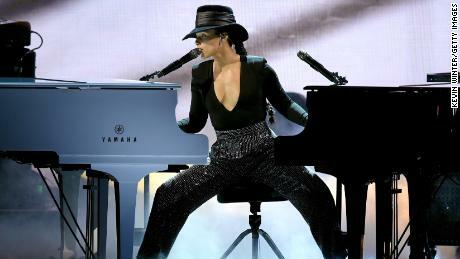 “I think @aliciakeys was one of my favorite parts of the #GrammyAwards the most perfect, genuine & gracious host,” wrote musician Leona Lewis on Twitter. “Music is just, you know, those songs that just live inside of you. It lives inside of me. And you just love it so much because it was done so well that you wish you wrote it. That’s how I feel about these songs. I wish I wrote them,” she said. In a candid moment, Keys shared a personal story about how John Mayer once split his Grammy with her after losing best song to him 2005. 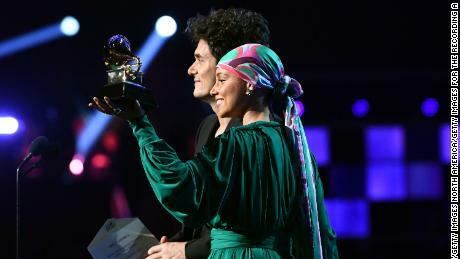 Mayer, with the other half of the Grammy in hand, joined Keys to present this year’s award in the same category.